PUYALLUP, WA (7/13/18)–The Puyallup School District will help celebrate the Canoe Journey 2018 with special events at the Karshner Museum and Center for Culture & Arts on August 2 and 3 from 10 a.m. to 4 p.m. each day. All are invited to this free family event. With the Puyallup Tribe of Indians hosting the 2018 Canoe Journey “Power Paddle to Puyallup” from July 28 to August 4, over 100 canoes and over 10,000 people representing coastal tribes and friends from all over the Pacific Northwest are expected to participate. 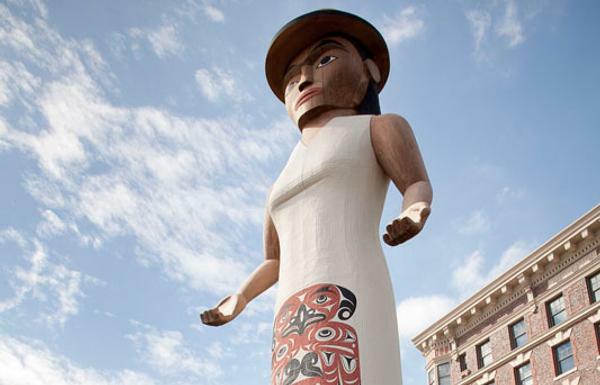 Visitors at the Karshner Museum and Center for Culture & Arts will experience the Coast Salish traditional culture through artifacts, displays, film, photo, art, and storytelling. Over 300 artifacts will be on display and include model canoes, paddles, and baskets, tools and more. A photo history of the Canoe Journey by Denny Hurtado, Skokomish member and past OPSI Indian Education Director will be on display. Secretary of State’s Legacy Washington exhibit “We’re Still Here: The Survival of Washington Indians” and the Karshner Museum’s own exhibit “From Mt. Tacobet to the Salish Sea: The Culture & Artifacts of Coast Salish Peoples” artifacts will also be on exhibit. In addition, films of past Canoe Journeys and a film “Muckleshoot Indian Tribe Sla-Hal 2015 Tournament” directed by Lyn Dennis, Lummi/Tahltan,B.C., will be shown. Melvin Blacketer, Nisqually and Puyallup. Educators are invited to one or two days of professional development. Activities and learning will include the culture of the canoe, canoe-making, the canoe journey and its importance to Coast Salish tribes today, the traditional methods for cooking, making baskets, cattail mats, art, use of natural resources, food gathering and the tribal importance of protecting the environment and its wildlife. Up to six clock hours will be available through the Puyallup School District Professional Development website. The district will provide free round-trip shuttle buses from Chief Leschi Schools to the Karshner Center so visitors at the Canoe Journey, “Power Paddle to Puyallup 2018” will have easy access to the events of the day at the museum. Likewise, visitors to the Karshner Center may use the shuttles for easy transport to the Canoe Journey festivities and protocols at Chief Leschi Schools. 309 4th St NE, Puyallup, WA 98372, phone (253) 841-8748, or visit the center’s website or Facebook page: Website: https://karctr.puyallup.k12.wa.us, Facebook: https://www.facebook.com/KarshnerMuseum. Art Talk: We Got Styles! Over the weekend of March 27-29, the University of Washington held ArtTalk: Conversations on Northwest Native Art. The event was free for all to attend and join leading scholars and Native American/First Nations artists as they presented and discussed current trends and recent research on the distinctive art traditions of our region. They examined the last fifty years of Northwest Coast art, as marked by the 50th anniversary volume of Bill Holm’s influential book, Northwest Coast Indian Art: Analysis of Form, and look forward to the next fifty years in an art form that is just as thriving and innovative as the cultures it stems from. So what’s the point of studying all the northwest coast styles? Most objects were removed from their sources and were not well documented. They often reside in museum collections with little to no documentation, or documentation that is misleading or incorrect. The pure analysis of forms of objects that have been removed from their cultural context is precisely so that these objects can be reconnected with their cultures. By studying styles it’s possible to determine where on the coast an object originated. Sometimes being able to determine with some certainty who the artist was and what their names were even when documentation is missing or incorrect. The symposium began on Friday, March 27 at 7:00 p.m. with a keynote program by Dr. Robin Wright and artists Qwalsius Shaun Peterson (Puyallup/Tulalip) and David R. Boxley (Tsimshian) discussing the past 50 years of Northwest Coast Native art, including the impact of Bill Holm’s influential book. Boxley has spent his life researching and practicing northern Northwest Coast style, the Tsimshian language and dance, and in particular the subtleties and variations of the Tsimshian art style he has come to master. Boxley just returned from Juneau, Alaska where he and his father, David A. Boxley, have installed the first fully carved and painted Tsimshian house-front in modern time. It is one of the largest, if not the largest, carved-and-painted Tsimshian house front in the world. “If the art is going to move forward then we have to get back to where it was when it got stuck,” says Boxley, referring to the period that Native American culture was banned when the missionaries and boarding schools took root. “Once we can understand, to the best of our abilities, how things went together before that era then whatever comes next will be the natural progression. So the art, this very visual thing that our people could grab onto and be proud of, is what led to the revival of our culture. Now that the art has reached the point where quality is really being pushed, maintaining a certain quality that the collections market pushed to create, we’ve really been able to bring a lot of our culture back. 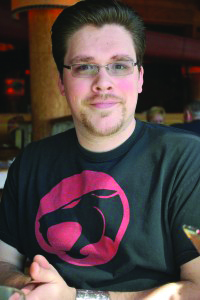 Peterson is a Puyallup and Tulalip artist who carves, paints and works in many forms in digital media. Peterson is a pivotal figure in contemporary Coast Salish art traditions, and has major installations throughout the Northwest, ranging from works created in wood, glass and metal. Just last month Peterson was chosen by Seattle Office of Arts & Culture for the tribal commission on the new Seattle waterfront. Peterson is also a founding member of the Bill Holm Center’s advisory board and in 2014 published an essay titled Coast Salish Design: an anticipated southern analysis. The ‘Welcome Figure,’ spuy’elepebS near Tollefson Plaza, Tacoma, Washington, created by Shaun Peterson. I wouldn’t have foreseen this coming if you had asked me but it is here and it is now. I hope to make the most of this opportunity and showcase that Coast Salish culture is alive and well. That it is deserving of the land on which it comes from and that it will, as all art does, adapt to the world around it and will continue to thrive as long as the people exist in its region. As Chief Sealth once said long, when people believe our people have vanished we will be among you… something like that, I’m paraphrasing of course but the gist is, my art and others of Coast Salish heritage are making public works that will continue to be standing long after we have gone, and there is something to say for that. Today, I am overjoyed with the task ahead of me. Artist biography Qwalsius – Shaun Peterson from Shaun Peterson on Vimeo. Welcome Figure, spuy’elepebS near Tollefson Plaza, Tacoma, Washington, by Shaun Peterson. Welcome Figure (night), spuy’elepebS near Tollefson Plaza, Tacoma, Washington, by Shaun Peterson. Killer Whale (Aluminum), Puyallup Tribal Health Authority, Tacoma, Washington, by Shaun Peterson. From the Natural World, Puyallup Tribe Elders Building, Tacoma, Washingto, by Shaun Peterson. SEATTLE (March 25, 2015) — The Seattle Office of Arts & Culture is pleased to announce that artist Shaun Peterson, of Milton, WA, has been selected for a commission on the Seattle Waterfront. Peterson is a pivotal figure in contemporary Coast Salish art traditions, and is a member of the Puyallup tribe. He has major installations throughout the Northwest, ranging from works created in wood, glass and metal. This commission, undertaken in partnership with the Office of the Waterfront and Seattle Department of Transportation, sought an artist to create an artwork that recognizes the tribal peoples of this regionfor Seattle’s Central Waterfront project. Peterson will work with the city and its design team to develop a site-specific artwork or artist designed space that reflects the Coast Salish tribes that have a historic connection to this territory. The budget for the project, inclusive of artist fees, is $250,000. Waterfront Seattle is the large-scale project to replace the Alaskan Way Viaduct with 26 acres of new public space, streets, parks, and buildings. The public piers will be rebuilt as part of the Seawall Bond passed by voters in 2012. Peterson’s first major public installation was a 37 foot story pole for Chief Leschi School in 1996; it was quickly followed by commissions in Tacoma and Seattle, Washington. He continues to explore the future possibilities of indigenous art traditions. Peterson joins artists Cedric Bomford, Ann Hamilton, Norie Sato, Buster Simpson, Oscar Tuazon and Stephen Vitiello in creating a permanent artwork which will transform the waterfront. This roster of diverse artists will help to create a sense of place on the renewed waterfront that will act as an invitation to residents and visitors alike. Peterson is a Native American artist producing work that is a continuation of the ancient art of the Northwest Coast first peoples. 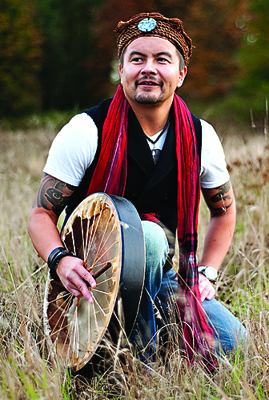 While knowledgeable and invested in diverse tribal styles and applications, his focus and expertise is the art of the Southern regions that encompass the many tribes of Western Washington and Southern British Columbia known as Salish territory. Shaun’s artistic career began under the guidance of key mentors in the field of Northwest Coast art including master artists Steve Brown, Greg Colfax (Makah), George David (Nuu-chah-nulth), and Loren White.